We recognize the importance of protecting your privacy and our privacy statement is designed to assist you in understanding how we collect, use, and safeguard the personal information you provide to us and to assist you in making informed decisions when using our site. This privacy statement will be continuously assessed against new technologies, business practices, and our customers` needs. By using our website you consent to our collection and use of your personal information as described in this privacy statement. The statement does not apply to our practices on other websites or offline. This website is intended for and directed to citizens of the United States 18 years and older. If we send you an e-mail, it will contain an opt-out link which you can click to have your name removed from our e-mail list. You may also opt-out of allowing us to provide your name to third parties for direct marketing purposes by contacting us by phone or mail. If your personally identifiable information changes, you can update it by contacting us by telephone or postal mail. You can also request to remove your information from our database using one of the following methods so you will not receive future communications or will no longer receive our service. Please allow up to ninety (90) days for processing. Registration forms on our site may require you to give us your contact information (i.e., name and e-mail address) and demographic information (i.e., zip code and state). We use this contact information from the registration form to send you information about our company at your request. Your contact information is also used to contact you when necessary for additional information or to process or fulfill your request. Demographic and profile data may also be collected. We use this data to help us improve this website and our product and service offerings. Our site uses an order form for you to request information for our products and/or services. We collect your contact information (i.e., e-mail address), financial information (i.e., credit card numbers, bank account information), and demographic information (i.e., zip code and state). We use this contact information from the order form to send you a confirmation e-mail for which you cannot opt out. We also use this information to send you your orders, as well as information about our company and products and special promotions. Your contact information is also used to get in touch with you when necessary for additional information to process or fulfill your order. Financial information that is collected is used to bill for products and services. Unique identifiers are collected from website visitors to verify your identity and for use as account numbers in our record system. Demographic and profile data is also collected at our site. We use this data to help us improve our website and our product and service offerings. Broadly speaking, we use personal information for purposes of administering our business activities, providing the products and services you requested, to process your payment, to monitor the use of the service, our marketing and promotional efforts and improve our content and service offerings, and customize our site`s content, layout, services and for other lawful purposes. These uses improve our site and better tailor it to meet your needs. We use your IP address and other standard log file information to help diagnose problems with our server, and to administer our website. Your IP address and other standard log information are used to help identify you and your shopping cart and to gather broad demographic information in the interest of improving our site and service. From time to time, we may conduct online surveys to help us better understand and serve your needs, or conduct sweepstakes or contests. These offers may ask for contact information (i.e., e-mail address), financial information (i.e., credit card numbers), and demographic information (i.e., zip code, age, or income level). We may use this contact data from our surveys to send you information about our company. Unique identifiers are collected from the website to verify your identity. We use this data to help us improve our website and our product and service offerings. In the unlikely event that The Lee Arnold System of Real Estate Investing, or substantially all of its assets, are acquired or merged with another company, customer information will be one of the transferred assets. 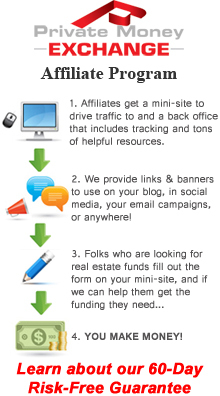 Information collected on this website from those who have elected to receive offers from business partners of The Lee Arnold System of Real Estate Investing is made available to such business partners. We employ other companies and individuals to perform functions on our behalf. For example we contractual employ certain marketing professionals who providing marketing assistance. They have access to information needed to perform their functions, but may not use it for any other purposes. We release account and other personal information when we believe release is appropriate to comply with law or to protect the rights, property, or safety of The Lee Arnold System of Real Estate Investing, our users, or others. This includes exchanging information with other companies and organizations for fraud protection and credit risk reduction. We also, from time to time, provide our customer lists to businesses who offer goods or services through direct mail that may be of value to our customers. The information provided includes; name, address, gender, product(s) purchased and recency of purchase. This site may contain links to other sites. www.privatemoneyexchange.com is not responsible for the privacy practices or the content of such websites. Our business changes constantly. This privacy statement will change also, and use of information that we gather now is subject to the privacy and security statement in effect at the time of collection. You should check our website frequently to see recent changes. If, however, we are going to use users' personally identifiable information in a manner different from that stated at the time of collection, we will notify users by posting a notice on our website for thirty (30) days. If you have any questions about this privacy and security statement, the practices of this site, or your dealings with this website, please contact us using one of the methods above.